Methylenetetrahydrofolate reductase (MTHFR) catalyzes the conversion of 5,10-methylenetetrahydrofolate to 5-methyltetrahydrofolate, a co-substrate for homocysteine remethylation to methionine. A human cDNA for MTHFR, 2.2 kb in length, has been expressed and shown to result in a catalytically active enzyme of approximately 70 kDa. Fifteen mutations have been identified in the MTHFR gene: 14 rare mutations associated with severe enzymatic deficiency and 1 common variant associated with a milder deficiency. The common polymorphism has been implicated in three multifactorial diseases: occlusive vascular disease, neural tube defects, and colon cancer. The human gene has been mapped to chromosomal region 1p36.3 while the mouse gene has been localized to distal Chromosome (Chr) 4. Here we report the isolation and characterization of the human and mouse genes for MTHFR. A human genomic clone (17 kb) was found to contain the entire cDNA sequence of 2.2 kb; there were 11 exons ranging in size from 102 bp to 432 bp. Intron sizes ranged from 250 bp to 1.5 kb with one exception of 4.2 kb. The mouse genomic clones (19 kb) start 7 kb 5′ exon 1 and extend to the end of the coding sequence. The mouse amino acid sequence is approximately 90% identical to the corresponding human sequence. The exon sizes, locations of intronic boundaries, and intron sizes are also quite similar between the two species. The availability of human genomic clones has been useful in designing primers for exon amplification and mutation detection. 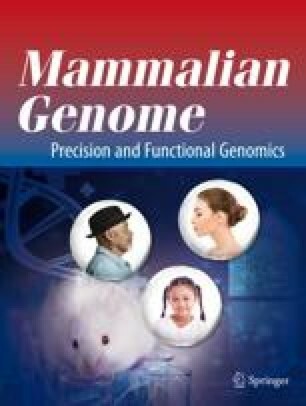 The mouse genomic clones will be helpful in designing constructs for gene targeting and generation of mouse models for MTHFR deficiency.